Dr. Ariana Verrilli is a native of New York, growing up just south of the Capital District in Red Hook. She attended Dalhousie University in Halifax, NS, Canada for her undergraduate degree where she double majored in biology and chemistry. 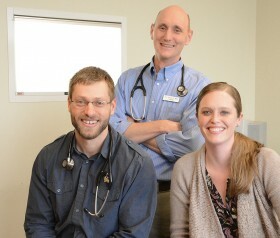 From 2008-2009, Ariana studied abroad with Cornell University, College of Agriculture and Life Sciences’ Animal Science program and obtained her DVM from University of Prince Edward Island: Atlantic Veterinary College in 2013. 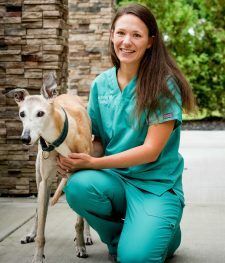 Dr. Verrilli then pursued a one-year small animal rotating medical and surgical internship through Atlantic Coast Veterinary Specialists in Bohemia, NY. In 2015, she completed a medical oncology specialty internship through the Animal Medical Center in NYC and finished her oncology residency with them in 2018. Ariana passed her board exam in July and is awaiting publication of a scientific paper for her full certification from the American College of Veterinary Internal Medicine in Oncology. 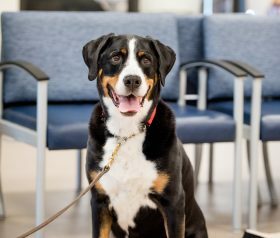 Dr. Verrilli has been published in the Journal of the American Veterinary Medical Association for an article entitled, What Is Your Diagnosis? as well as, participated in manuscript preparation and data collection for Safety of a Ribose-Cysteine Supplement in Healthy Canines. 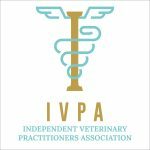 Ariana is a member of the Veterinary Cancer Society, the American Veterinary Medical Association, and the New York Veterinary Medical Association. Ariana moved to upstate NY to be closer to family and enjoy all that the capital district has to offer. In her spare time, she appreciates the company of good friends and family, as well as hiking, camping and leisurely reading. She lives at home with her husband, three dogs, and four cats.